Owning rental property in Orlando can be an exciting investment but doing the job of managing your own property requires more than just putting up the “For Rent” sign. Let’s review what Do-it-yourself Home Owners in Orlando, Florida need to do to professionally manage their properties. Once you find out, maybe you won’t want to hire yourself for the job. New landlords will need to understand that property managers need to comply with all the laws and regulations involving rental properties. These laws are Federal, State, County and local municipality in nature and require quite good research and knowledge to understand which apply to your rental property. There are insurance requirements, licensing requirements, landlord-tenant laws, as well as fair housing laws – and that’s just the tip of the iceberg! Some of these laws and regulations can get complicated, even for people who know what they are doing. Knowing how to properly and legally screen potential tenants to when a maintenance item must be taken care of are all important factors when deciding to handle property management yourself. 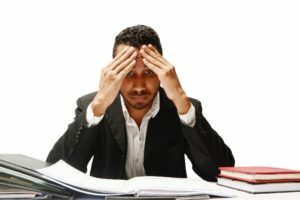 Not understanding or complying with property management laws and regulations can create mistakes that cost you money and your reputation. Sometimes substantial fines, legal expenses and waste of time are involved. Sadly, situations aren’t always straight forward. Your tenants may experience personal difficulties with relationships or job loss – you name it, and you will probably have to deal with them at some point. Being an Orlando landlord means whatever your tenants’ situations are, they may result in not getting or getting late your scheduled rent payments. It is the duty of a professional Orlando property manager who takes on the ugly responsibility of asking for late rent or even dealing with costly and time consuming evictions. Difficult tenant situations are not the enjoyable part of the investment property ownership in Orlando. As a landlord, you will need to be available to your tenants 24 hours a day, 7 days a week. Some problems can wait; whereas some will need your immediate attention. Plumbing problems rarely happen at a convenient time. Just imagine sitting down at the dinner table for an important family occasion and getting that call demanding your immediate attention to your property not your family.